Madden is for real doting on the 9ers, cowgirls, and pats this year. JOE HORN.....RICKY JACKSON....come with some love for the Saints. Please. Mut team abandon current programs with autofilling UT dynamic programs to make us think its more than Kraelo at a desk in the MUT single wide trailer, in some field half submerged in Florida..Lol. This my mental image when discussing this subject. It’s kinda messed up how they started ULs with Bill Romanowski, seemingly saying that they’d be bringing in some new players to MUT. But since then it’s just been recycled legend after recycled legend. I mean, where are guys like Kurt Warner, Kevin Williams, Bo Jackson, and Antoine Winfield? They were all in last years game, and some of them were already in the base game. Just be transparent. Either tell us that ULs won’t be bringing in new players or bring in new players. Don’t add 1 and then just leave us guessing if that’ll be the only new one. Can somebody tell me what week this is for UL? In terms of the tokens. We all got 14 right? 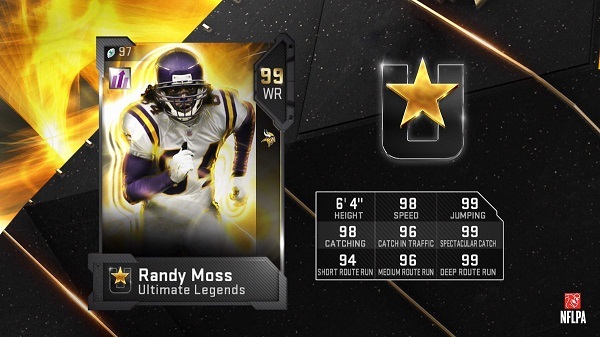 Still no ultimate legend RT. But here’s a 4th receiver.